A Will is a legal document allowing you to determine who will benefit from your property and possessions when you are gone.this is one of the principal benefits of making a Will. : Reducing disagreements and stress after you are gone. having a Will in place simplifies the administration of your estate, reducing worry and stress for those you leave behind and family disagreements. You can also set out your funeral wishes so your family know exactly what you would like them to do. : Specifying who will receive your property and possessions. you can be sure that your assets will go to the people you have chosen. : Having complete peace of mind You can name Executors to manage the administration of your estate and Guardians to look after any children you may have. 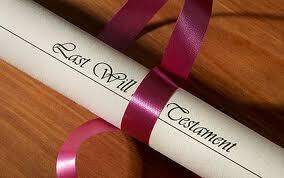 Writing a Will means you can put your affairs in order and leave clear instructions to assist your family. A Will can help you protect the value of your property or savings for future generations, by reducing the effect of Inheritance Tax or residential care fees upon the value of your estate. Another benefit of making a Will is to be able to include a trust that can control your estate for example you may want your children to inherit a property but for your second wife / husband or partner to have the uses of that property.